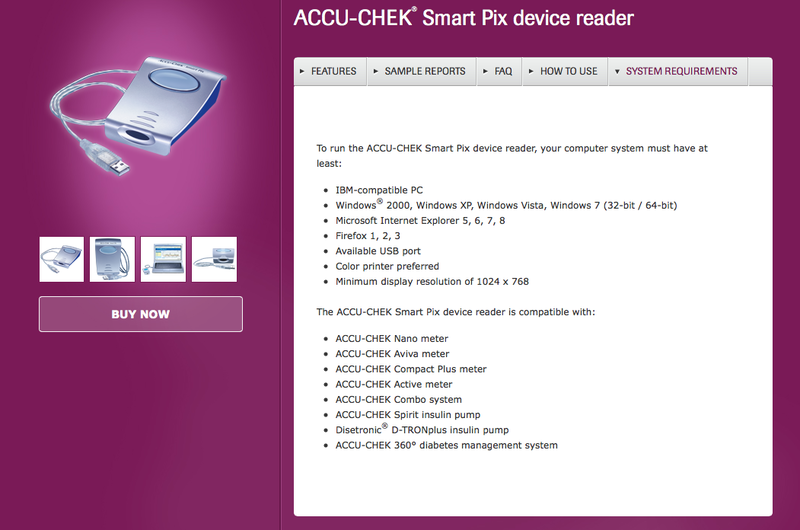 The official system requirements for Accu-Chek Smart Pix software don't list OSX as supported, but you can use the reader and the software on Mac, quite easily. The official system requirements indicate only Windows is supported. First, I install the reader to the USB port on your Mac. I get a notification of an error, but I just ignore it. 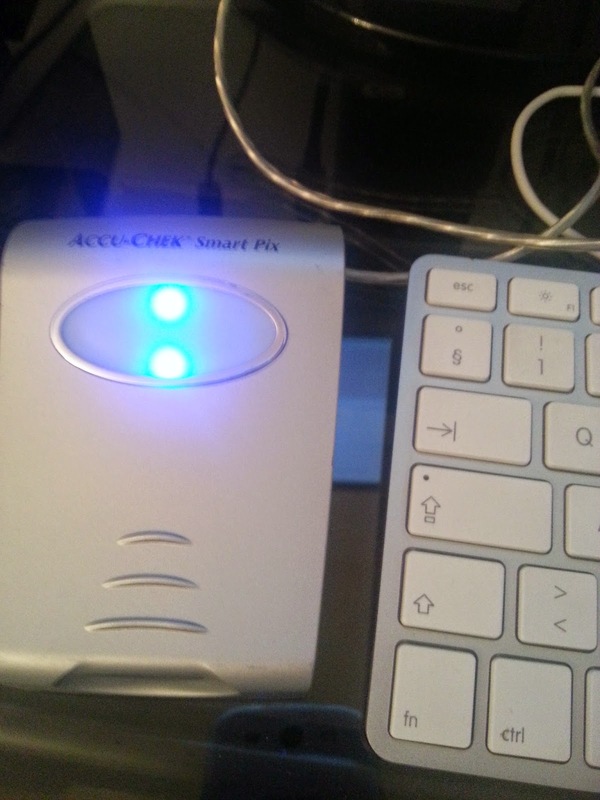 The light on the device flashes and then starts blinking, indicating the device is already open for reading your meter or pump. I then open the SMART_PIX device and launch the START.HTML file. 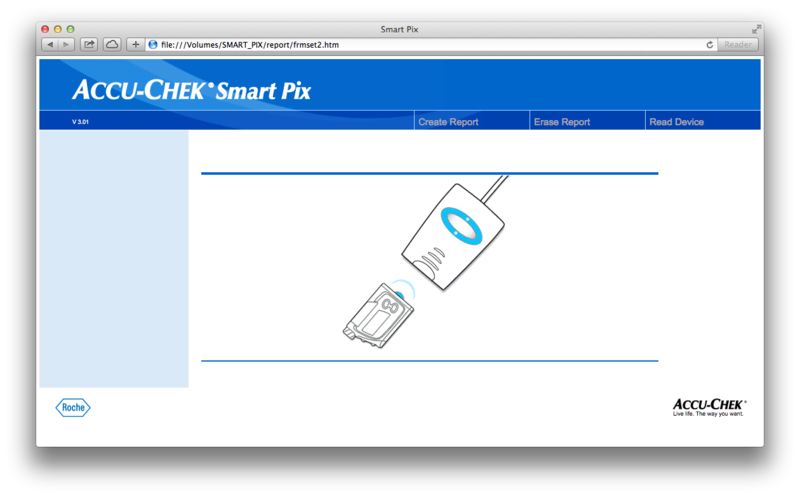 And there it is, Smart Pix software on my standard Safari browser. The software is immediately ready to read a device, so I just put my meter in data transfer mode and set it in front of the receiver. 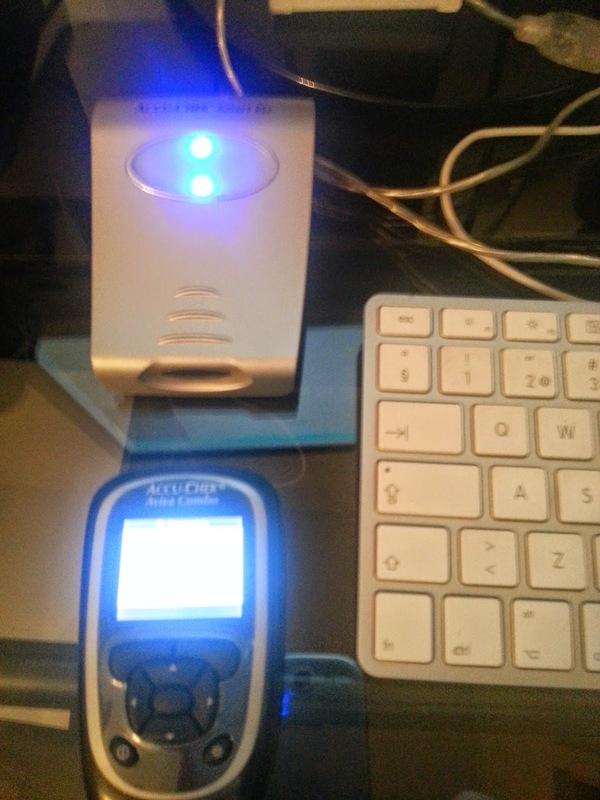 ... and can then access the information from my meter. The same works with the pump. 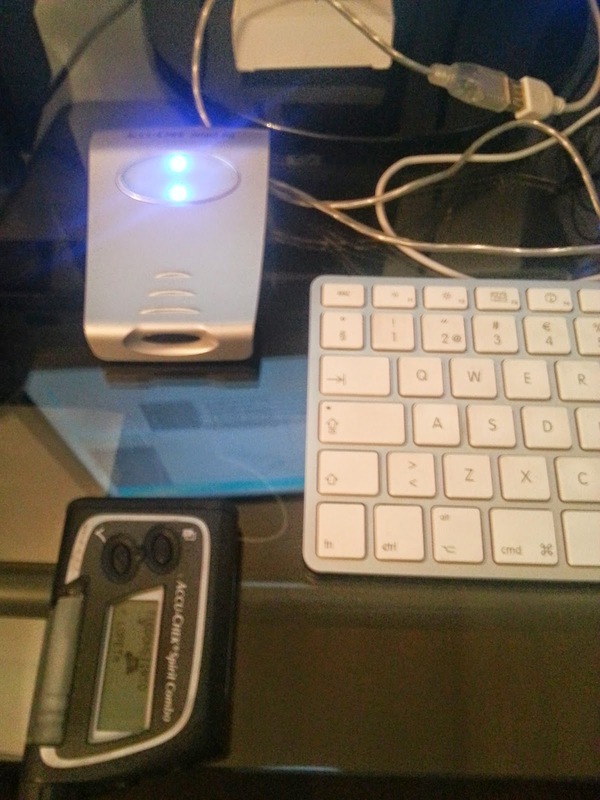 I click Read Device, set the pump to data transfer mode and put it in front of the receiver. After the transfer is complete, I can see also the pump data in Smart Pix. As I explained in the previous post, all the data from before the change from daylight saving time to standard time is unaccessible to Smart Pix, so here I only see a short period of data. 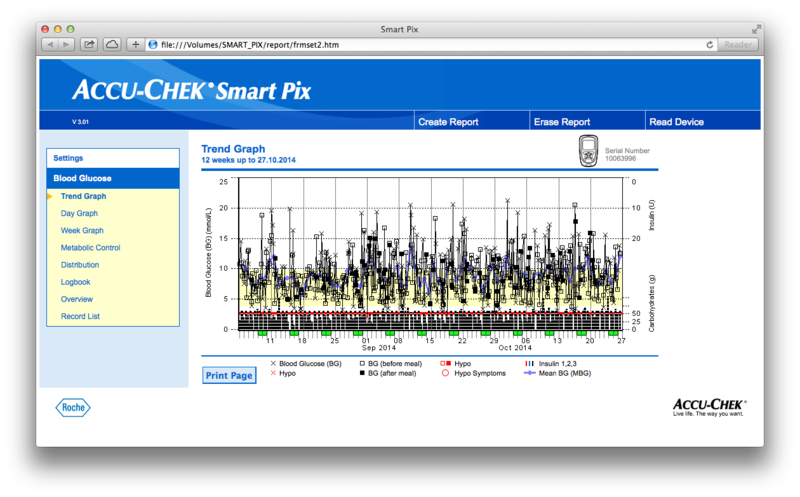 I can then examine the data with all the views and graphs Smart Pix has to offer, and also generate the report. 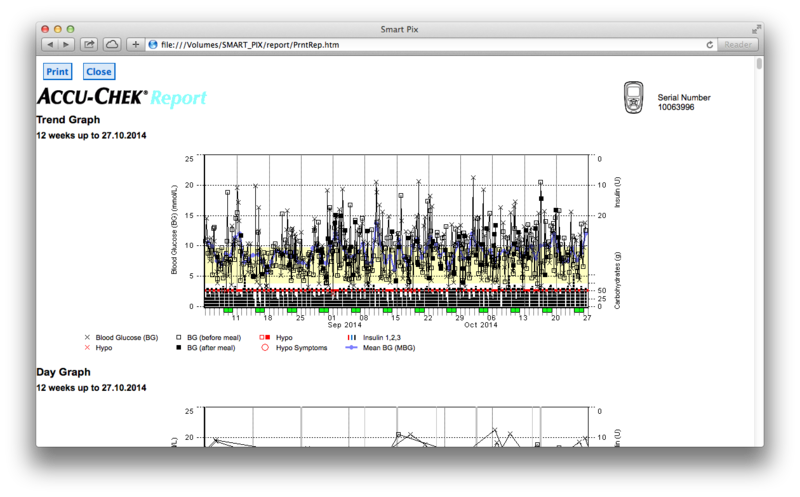 If I want, I can 'print' the report and save it as a PDF file to be sent to my healthcare team to look at. 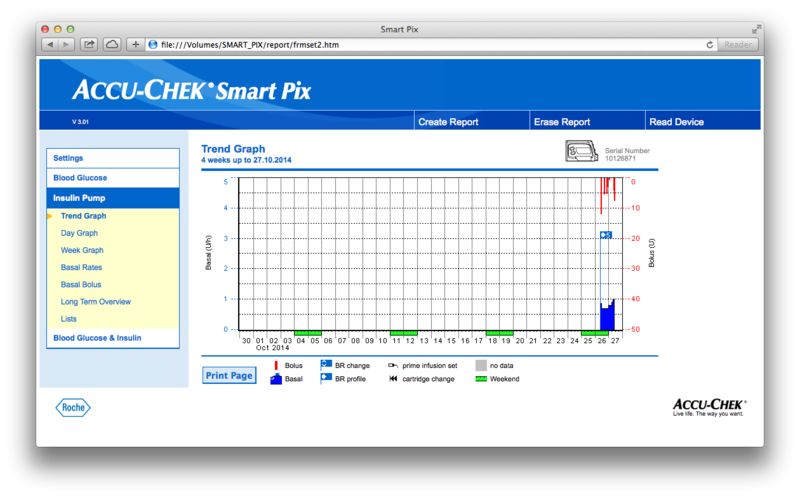 On my Windows machine I use a different version of Smart Pix that actually preserves all my data in an internal database, and therefore allows me to view data from an even longer period of time. 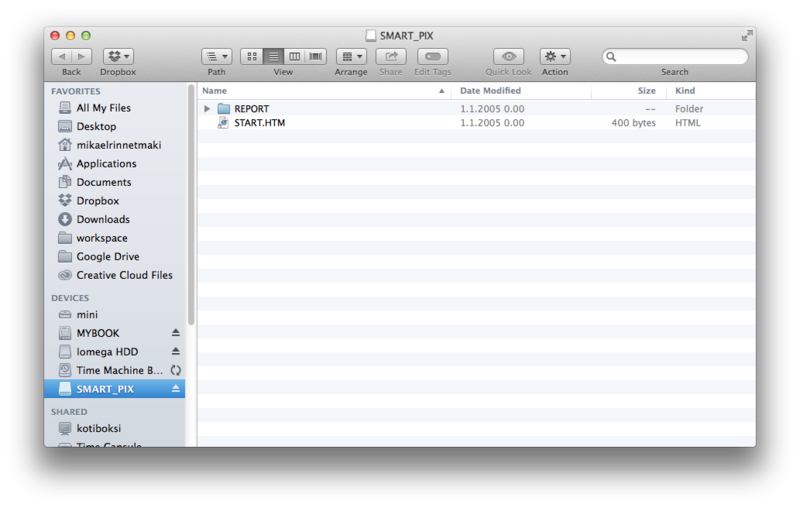 But apart from that, the software works pretty well for me also on my Mac. Please feel free to let me know in the comments if your Mac behaves differently. 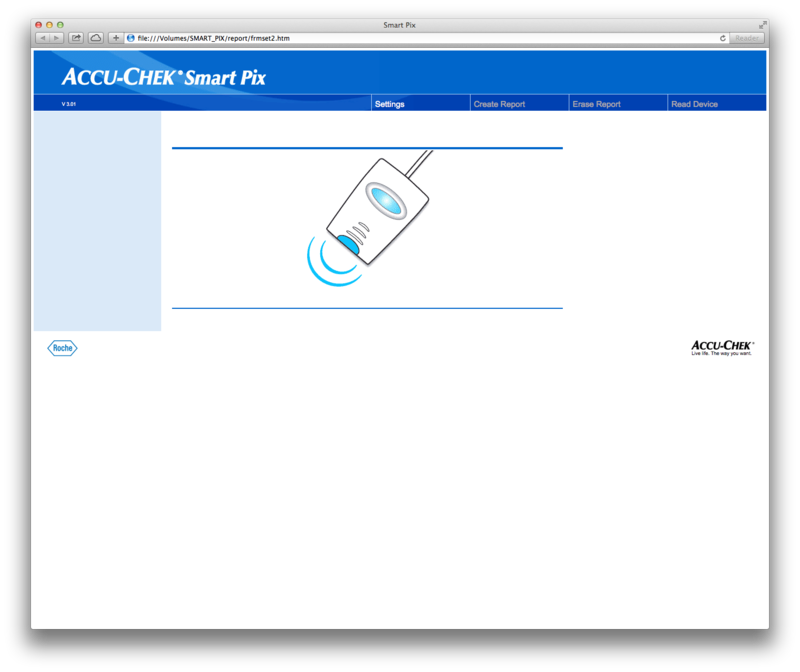 Update: Please note the response from Accu-Chek. The software has not been certified to work with Mac, so you're using it on your own risk! @mrinnetmaki TY for the mention pls note the SmartPix is not approved/cleared in the manner you've described in your blog. 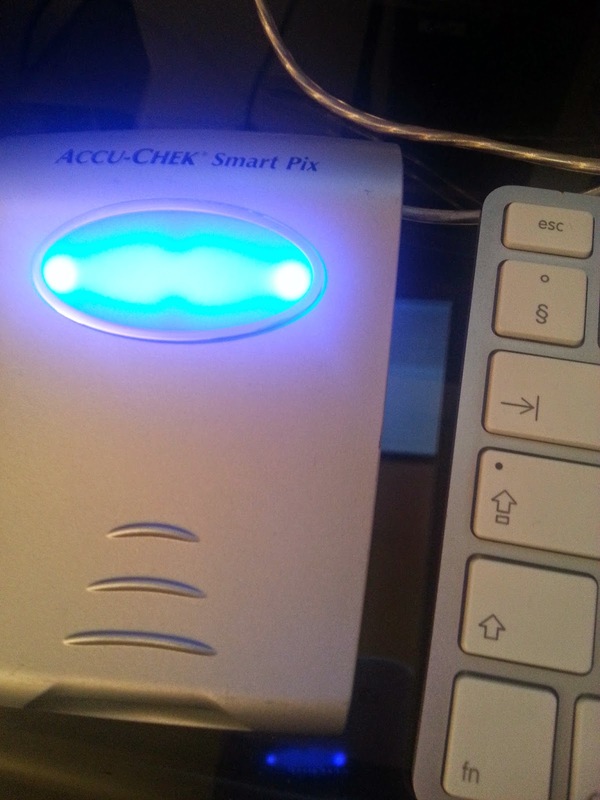 It's perfectly working with my AccuCheck Mobile. Thanks a lot for the tip !